Audiokraft is a premier audio recording and music production studio based in Bangalore. Our sole purpose is to meet every audio recording and music production service needs that you might bring to us. We are eminently poised to handle all your music production and creative audio needs starting from composing, to recording, to mixing and mastering. To this end, we’ve gathered together an unbeatable combination of state-of-the-art technology, production facilities, engineers and artist’s/talent collaborators and client comfort in one sweet space. Our studio is large and purpose-built to accommodate bands, string sessions, and large-scale movie dubbing and music production projects. Our facilities comprise the perfect mix of unrivalled technology and absolutely perfect acoustics. We use only the best, top-of-the-line audio recording equipment’s. We have a comfortable lounge area for our staff and guests to relax after an all-day music or film-dubbing project. We also have excellent greenroom and restroom facilities, which make our studio the perfect place for long sessions. We are strategically located in the quiet and fastest growing commercial neighborhood of HSR layout. Our studio is easily accessible from MG Road, Koramangala, Indranagar and other parts of Bangalore. With a decade of experience and established name in the industry, Gagan has actively worked on multiple music production opportunities in Sandalwood and Various ad jingles for brands. 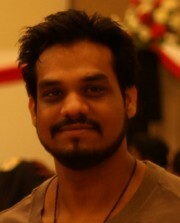 Gagan has completed his “Music Production” from Subbass Academe, London & SAE, Bangalore. The recent movie that Gagan has worked on is a Kannada movie by name “Bisile” staring Diganth & Jennifer Kotwal. Ask what on your mind next? Gagan’s next project – Sufi Album with Javed Akthar. 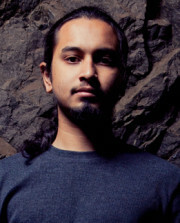 Graduated from the Musicians Institute in Los Angeles in 2011 with an Associate Degrees in Guitar and Audio Engineering, Prashant has been hard at work performing, engineering and programming for several independent artists in the LA area including The Sonic Chameleon Project (Bodhisphere Records) and Polarization (Mediaskare Records). He has also worked with the highly accomplished producer, Jimmy Hunter at Cazador Studios in Hollywood on various ad Jingles and other productions for TV and Theater. Our studio is available for recording Bands, Artists, Musicians and Composers for producing albums, personal projects or creating demos or sample tracks. We also welcome whole film projects including voice dubbing in various languages. Our studio is perfect for recording voiceovers for educational audio or video tutorials. You’re welcome to rent our studio services by the hour. However, we insist on advance booking reservation for long-term projects, in order to organize and dedicate our infrastructure for the period. Mixing & Mastering is an extremely important process in creative audio production; it’s through this process that we get your audio ready for the public. All the professional songs/advertisements have a mastering process, which transforms a simple audio file into a masterpiece. At Audiokraft, we use the best cutting-edge technologies and vastly experienced engineers to mix and master audios for TVCs, Jingles, Movie Scores, Sound Tracks and Albums. We welcome you to attend our mixing & mastering session in person and observe how our qualified mixing & mastering engineers work towards creating your audio masterpiece. Our process is high standard’s and end-to-end; we don’t compromise on any aspect till we achieve that perfect, absolute sell point. Our process begins with studying the client brief and requirements creating the perfect sound for your jingle. From there, we pull out all the stops to manipulate ADRs, Voiceovers, Mix and Master the audio till your final jingle hits the right spot. We achieve the perfect output each time by deploying our incredibly fine-tuned processes, talented musicians, voice talent and music composers with decades of experiences. Note that we always keep your budget and timelines in mind. To this end, we keep you updated at every stage of the process, so that you’re always in control. You can choose the perfect voice for your jingle from our vast resource bank of voice talent, in regional and global languages. Contact us today for a complete end-to-end solution for all your TVCs and Radio Ad requirements. Our mission is to create the best score possible for every project, and to provide clients with the freedom to focus on how they want the score to fit in with their project to make it the best it can be. We leverage the services of professional musicians, programmers and artists from India and abroad to deliver that special score. Come to us and sample our vast experience in creating highly retentive background score for Feature Films, Documentaries and TV shows. Our studio is the ideal place for voice-over dubbing; it’s quiet, it’s private and has every possible amenity you could desire. We offer a range of voice-dubbing services – dubbing Indian movies and foreign movies into regional languages, dubbing animation projects, voice-overs for agencies, commercials, radio spot and much more. We can also help you get the voice talents that are best-suited for your projects. You’ll be amazed at the quality of our voice talent as each artist steps up to the microphone. Come to us for your voice-dubbing needs – we are here to ensure that your job gets done on budget, within your timelines, and perfectly, too. Just as your company’s logo, colors, motto and mission statement become part of your visual brand, music creates a sound brand. Music is that divine sound that creates an immediate emotional connection with people. Strategically created sound, when tailored effectively, can stimulate your customers to endear themselves to your brand, which affects their shopping behavior. At Audiokraft Studios, we create, innovate and deliver world-class music strategies for brands that want to inspire, motivate, engage and connect with their customers through music. Come to us to find out how we leverage the relationship between sound branding and consumer psychology to deliver the ‘perfect sell’ tunes for campaigns, events, companies and products.